Ever wanted a Rottweiler, but, size was an issue? Well a Shorkie dog is the perfect alternative. This energetic pooch didn’t receive the memo that he’s actually classed as a small breed. A huge character in a small body. This feisty little guy isn’t a pure bred dog, but a designer hybrid resulting from mating a Shih Tzu with a Yorkshire Terrier; like a Morkie. A feisty, stubborn and intensely loyal protector, the Shorkie is best suited for adult only homes, or those with experienced older children. This little dog will weigh between 5 to 12 pounds, will stand between 9-11” tall and has a lifespan of between 11-16 years. Let’s have a look at this intensely loyal protector in a little more detail. This toy sized Rottweiler is tenacious, brave and alert. They are super watch dogs; alerting you to anything that may be out of place. These loyal protectors have an unfaltering enthusiasm and a fondness of barking. A Shorkie isn’t a purebred dog. It is a designer hybrid, made by cross-breeding a Shih Tzu with a Yorkshire Terrier. 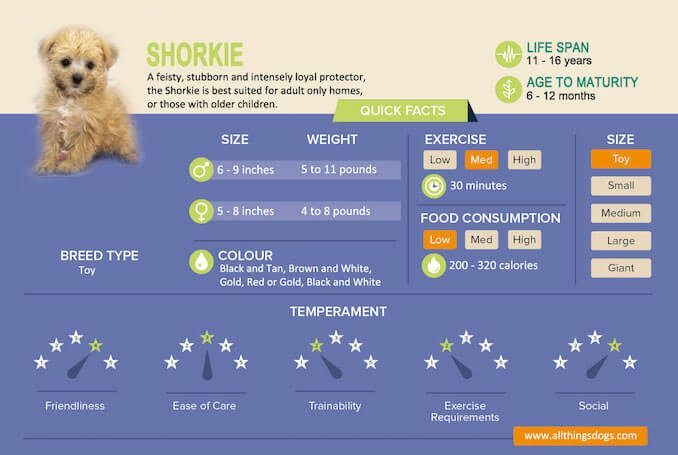 Free Giveaway: Get a bonus copy of our shorkie care guide to learn more about this designer breed. 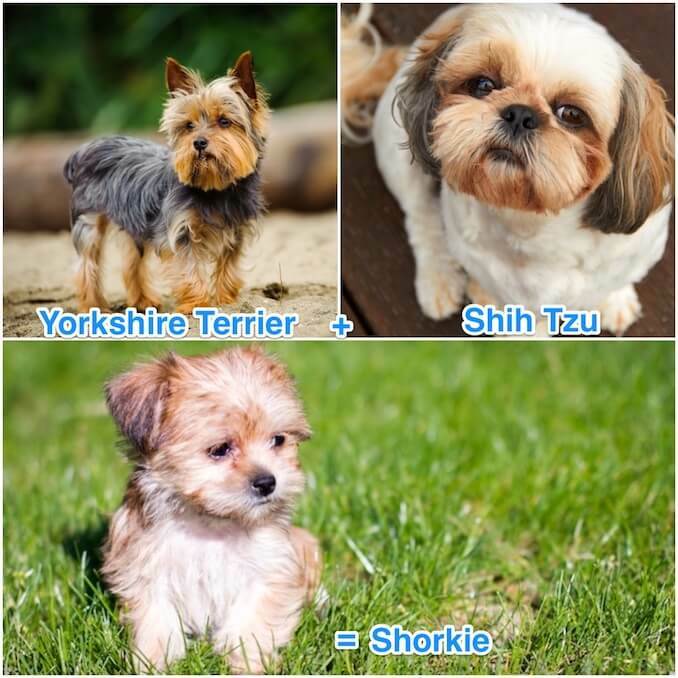 Designer cross breeds are certainly on the rise; here we have a mix of the 9th most popular dog in the US, the Yorkshire Terrier with the 20th most popular dog, the Shih Tzu making a Shih Tzu Yorkie mix. 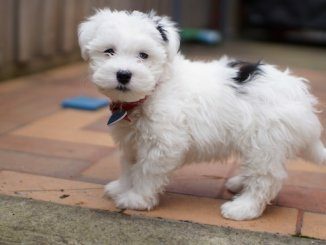 The Yorkshire terrirer is a popular breed to cross with and this has been done with a Maltese to breed a Morkie. 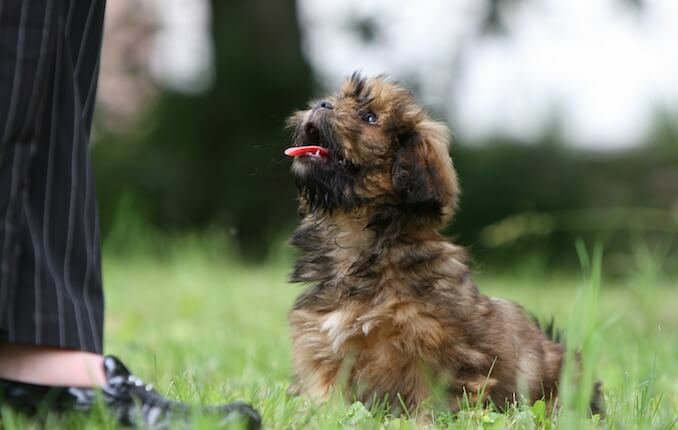 The Shorkie was originally bred as a companion and as both parents shed minimally, they are proving increasingly popular. As they are a hybrid, they are not currently recognized by any Kennel Club but they are recognized by The Designer Breed Registry. How Much Does a Shorkie Cost? These adorable balls of fluff are generally in small litters, averaging 1-5 puppies and as they are a hybrid, prices can range from $300-$1000. For us to understand more about these cute pooches, lets have a look at their parents. These “Lion Dogs” were Chinese Royalty. It is thought that this dog was a product of mixing Lhasa Apso and Pekingese dogs. Shih Tzus were pampered by Emperors and spent their days as lap warmers (i.e. lap dogs). They are known for their loyalty to their owners, following them around like their shadow. They also haven’t forgotten their royal history; they are often described as being outgoing, alert and stubborn. Their alertness makes them incredible watch dogs, so potential owners should expect plenty of barking. They are generally sociable dogs, suited to most homes; due to their lap dog origins they are happy in apartments and flats, not requiring a huge amount of space. This breed is classed as a Brachycephalic Breed, which means they have a flatter and wider skull shape. 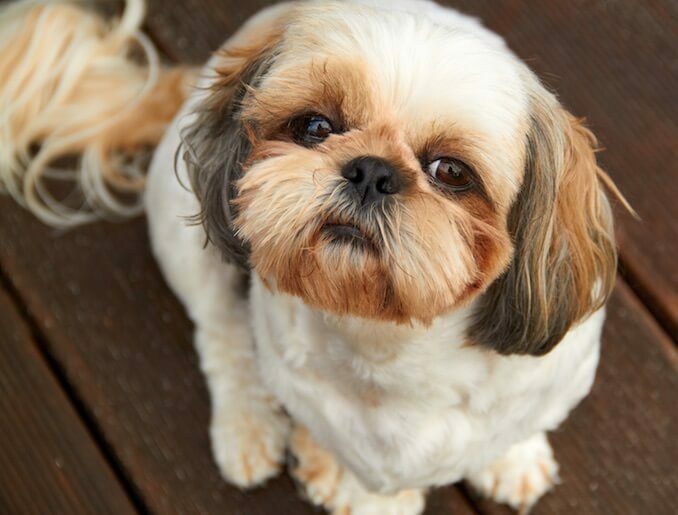 Therefore Shih Tzus are predisposed to respiratory issues. We will look at this in more detail later in the article. So we have an alert, energetic and stubborn parent here, let’s have a look at the other one! This terrier started out in pest control, he was bred to be small enough to flush rats out of mines in Scotland and Northern England in the mid 1800s. In 1886 the English Kennel Club recognized the Yorkshire Terrier as a distinct breed; with the new found recognition they soon became the companion of choice for English Ladies. The first terrier found it’s way over the water into the US in the 1870s and the American Kennel Club first registered them in 1885. The Yorkies are loved for their tenacity. Like a Shih Tzu; they are feisty, stubborn, alert and brave. Truly a small dog with a larger than life character. They know what they like and what they don’t so are generally better suited to adult only homes; a real companion who will definitely keep you on your toes. So another feisty parent with stubbornness by the bucket load; let’s see what happens when we mix the two. 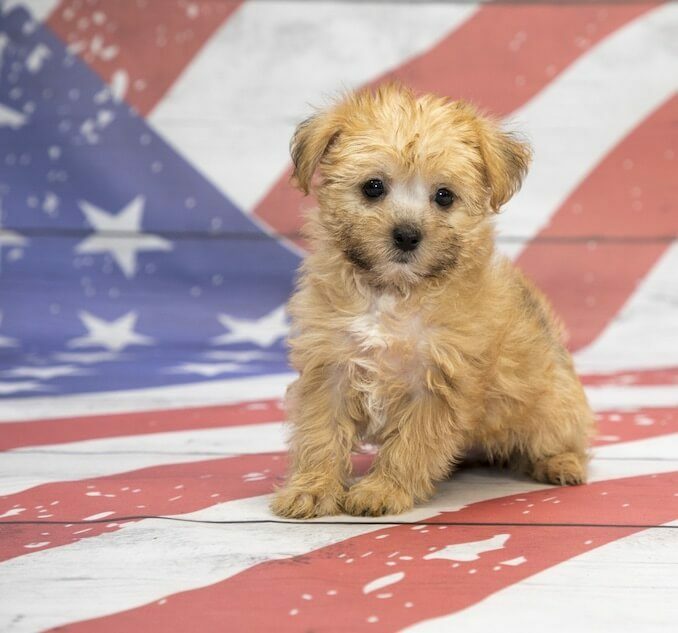 If you want a fiercely independent, tenacious and brave comrade, this Shih Tzu Yorkie mix is the dog for you. They possess an unwavering loyalty to their family which means they are always alert and watchful. Their energy and enthusiasm means they will happily hike up mountains but if we’re honest, they haven’t lost the lap dog origins of their parents. They do have a fondness for barking, which can be problematic for some owners. They will alert you to anything that is out of place. Their stubborn nature makes them difficult to train (read our training section below). Although generally sociable, they tend to be distrusting of strangers. They also aren’t too keen on the unpredictability of young children so are more suited to adult only homes. Their unfaltering loyalty means they are always by your side; unfortunately this does mean they easily suffer separation anxiety. Owners often describe Shorkies as being “clingy” and “needy.” For that reason, they shouldn’t be left alone for long periods. Not being the easiest breed to care for, let’s have a look in more detail to see if these loyal lap dogs suit your lifestyle. Positive reinforcement and rewards work well with this stubborn hybrid. A consistent routine and early socialization are essential in your puppy’s development. 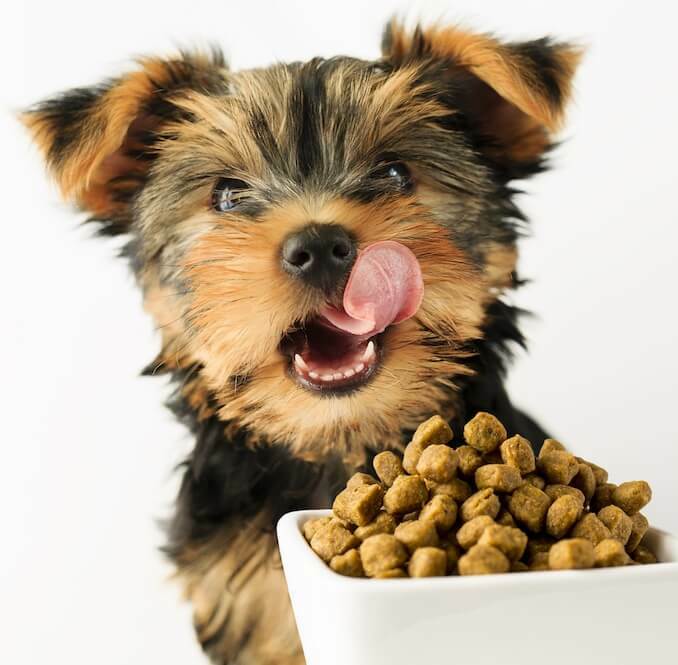 Puppy feeds should ideally be split into 4 meals per day; Shorkie puppies are no different. Once they are 6 months or older, this is generally reduced to 2 meals per day for the rest of their life. Small breeds, less than 20lbs generally use up to 40 calories per pound of body weight per day. If your Shorkie is weighing in at 9lbs, expect to feed him 360 calories per day. Familiarise yourself with pet food labelling rules and regulations to ensure you are feeding a high quality dog food – this could be dry, wet, dehydrated or raw. You will know it is a good quality food when it is meeting the daily nutritional requirements for your pooch. A male Shorkie will consume around 360 calories per day and a female will be around 240 calories. Predicted weights for a male shorkie dog range between 5-12lbs when fully matured and 4 to 8 pounds for a female. As they are a hybrid it is impossible to know for certain. Their parent sizes will give you a good indication on how big your pup will get. Shorkies are described as being energetic and active. They will happily walk for upwards of 60 minutes per day. But remember that stubborn streak – they will equally enjoy curling up on the sofa on your lap, refusing to go to the park. You should aim for 30-60 minutes of exercise per day for these little guys. Despite their high intelligence, they don’t always see the point in brain games. Have some high value treats to coax them into doing some work. Some Shorkies can end up with the shortened muzzle like their Shih Tzu parent which makes them more prone to respiratory issues. Ensure you understand the risks of brachycephalic airway syndrome, especially when exercising in warmer weather. Like their Yorkie parent, Shorkies can be unbelievably stubborn. This can make training challenging, particularly house breaking. We know that when it comes to dog training, the best approach is positive reinforcement and reward. When pup is doing what you want her to, reward her, whether it be a food reward, toy reward or simple verbal praise. Clicker training is a brilliant tool for training stubborn dogs. A clicker is a small device that when you press, it makes a loud “click” sound. The idea is to click when you see your dog doing what you want him to, then quickly reward him. It works on the idea of operant conditioning. The dog associates the click with the positive reward. The click marks the desired behavior, so the dog learns to associate the behavior with the reward. We know that house breaking can be an issue for Shorkies so ensure you have a consistent routine, let them out after each meal, first thing in the morning, last thing at night and praise when they have “gone potty” outside. Shorkies can be distrustful due to their alert and watchful nature. Ensure you start socialization from a young age. 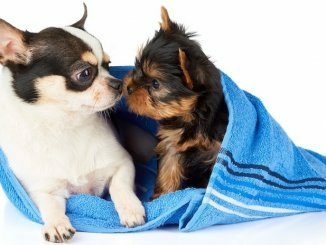 Despite the hope to out-breed certain health issues in hybrid dogs, we know that some Shorkies are suffering the same problems their parent Yorkie and Shih Tzus do. It’s quite a long list unfortunately. Brachycephalic airway syndrome – this is where abnormalities within the upper respiratory system cause respiratory distress. There are often treatment options for dogs who present with airway obstruction, but as more and more dogs with shortened muzzles and flatter skulls are being bred, the number of brachycephalic breeds are increasing. Dental disease – Again thanks to the shortened muzzle and narrow jaw, these brachy breeds are predisposed to dental overcrowding and periodontal disease due to teeth rubbing against each other and removing enamel. Glaucoma – Yorkshire Terriers have a long standing history of glaucoma. Eye tests should be carried out on any potential parents and any dogs showing signs of eye disease should not be bred from. 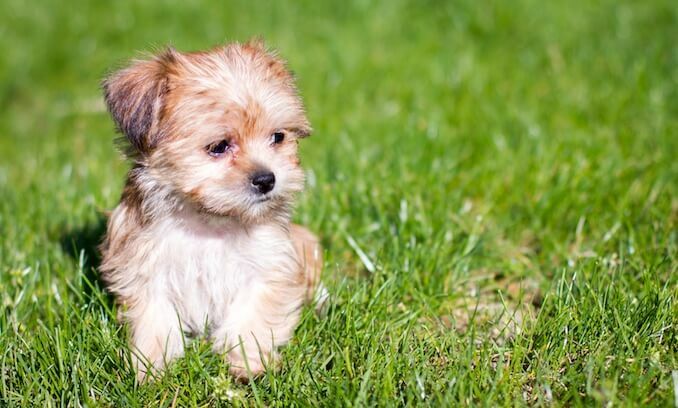 Hypoglycemia – This is a common issue in many small breed puppies at weaning. Due to low levels of glucose, they present as lethargic and it can be fatal. Lens Luxation – another common health issue in terrier breeds, this is where the ligaments in the eye break down which allows the lens to dislocate form it’s normal location. This can often be a cause of glaucoma. Surgery is often possible. Patella Luxation – Common in small breed dogs, this is where the patella (kneecap) moves out of the trochlear groove. This can result in osteoarthritis, lameness and pain. 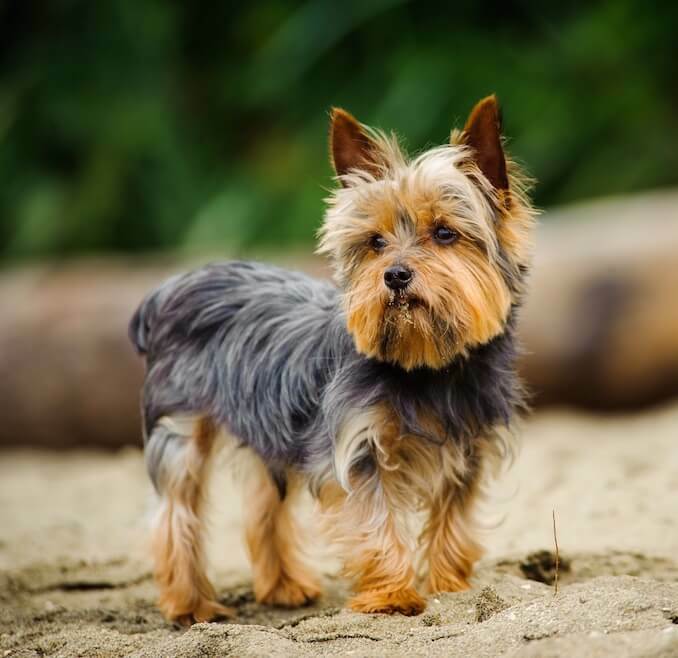 Portosystemic shunt – unfortunately both the Yorkie and Shih Tzu are predisposed to this which prevents detoxification of waste that would occur within the liver. Potentially harmful substances are then delivered throughout the body. Like their parents, the Shih Tzu Yorkie Mix coats can grow to be quite long. This makes them pretty high maintenance on the grooming front. Daily brushing is a must. Shorkies will generally have either a straight coat like their Yorkie parents or a slightly wavy coat. To touch it is usually soft and sleek. As they are a hybrid, Shorkies can come in a range of colors including Black and Tan, Brown and White, Gold, Red and Gold, Black & White. Most owners will have their Shorkie regularly clipped (i.e. every 8 weeks) by a groomer into a “teddy bear” clip. This is usually where the body is kept short which reduces knots and matts, but the face is trimmed into a round shape; keeping their adorable look. Ensure you clean their eyes and ears regularly, also taking the time to brush their teeth. As both parents minimally shed, Shorkies are often the preferred choice for this reason. It is a myth that they are 100% hypoallergenic – however all dogs will lose hair and dander. But, if you keep your Shorkie regularly groomed, it’s rarely noticed. How long do Shorkies live? The expected lifespan of a Shorkie is between 11 and 16 years! How big do Shorkies get? As they are hybrid, it’s difficult to predict exactly how big your Shorkie will get. As a guide, he should weigh between 5-12 lbs and stand between 5-9 inches tall! How big do Shorkie puppies get? You would expect your Shorkie to be fully grown by 12 months old. A good indicator on how big your puppy will get is to take their weight at 8 weeks and multiply it by three. So if your Shorkie weighs 2.12lbs at 8 weeks old, multiplied by three, they would be around 6.36lbs when fully grown. How much do Shorkies eat? 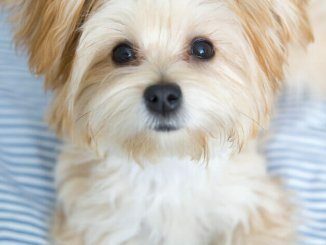 You should be feeding you Shorkie 40 calories per lb of body weight when fully grown. For a fully grown adult weighing 8 lbs, expect to feed around 320 calories per day. These adorable balls of fluff make charming companions. A shorkie will melt your heart; they tend to have either a straight coat like the Yorkie, but can also have a slight wave in it. They are fond barkers, watchful and alert. They aren’t known for their trainability, so a consistent routine with positive reinforcement and reward is essential. They certainly haven’t forgotten their lap dog ancestry, so after 30-60 minutes of exercise a day, these guys are more than happy to curl up on the sofa. Their unwavering faithfulness does not tolerate being left alone, often described as clingy and needy. Ensure you have the time and patience to spend with these adorable balls of fluff and you will forever wonder how so much personality can fit in such a tiny body! Have you owned a Shorkie? Thinking of getting one of these designer dog breeds? Let us know below! I have a sassy but loving shorkie. Very protective and never leaves my side. In the training process and it’s very stressful. Overall, would get another one in a heartbeat! Hello, I am new to the Shorkie, small dog breed. Always had big dogs. We have a year old Shorkie and he is adorable. Just having issues with nutrition. He is scratching his ears constantly in yelping which I understand could be a yeast allergy. I’ve had him on Royal Canine (chicken base) he seems to be biting his paws. I’ve had him on Nulo limited ingrediants (Salmon base) he seems to be scratching his ears worse. So I’m thinking he has a fish/yeast allergy and trying to find a food that he can eat. Try taste of the wild venison doesn’t like currently looking at core by wellness. Most dog foods have salmon meal in them. Does anybody have any suggestions? Hi Shelli, great question. Sorry to hear your Shorkie is having nutritional issues, I will leave this comment here in hope that someone can help you. I have a Shorkie. She is four years old. She eats Orijen and has never had any issues. As a puppy she ate Fromm. She eats the Orijen Six Fish kind. You can try Orijen Original and ask your vet for assistance. We feed our yorkies Natural Balance food. They react to corn and sugar isn’t good for them. Hope this helps. maintaince scale. Hope this helps. Sarena – what brand of chicken grain free food do you prefer? We have just had our 13 wk shorkie for a few days and the previous owner passed on their food and treats. There is something that makes her itch. My Shorkie is 10 and has always had an eating problem. He’s never really felt like taking time to eat. As far as veggies go though he’s an addict. He was a wild crazed maniac for his first year. I had a brand new mattress that as I slept he ate a tunnel through. Then out of nowhere, he just stopped and took in the sights. He never had even 1 accident on carpet, always made his way into bathroom by toilet. People look at Augie and feel he’s one of the smartest dogs theyve ever seen. The most difficult thing to do is leave for work knowing that he’s literally grieving my loss until I return. Trust me when I say take care of yourself for their sake because they would not relax until you return. So I’d not suggest for someone very old. We have a 5yr old who is everything the breed specs say and more,allways had spaniels previously and infact this little one was bought as a companion dog for our cavalier,she is the sweetest most gentle creature,but crazy about her family and was madly in love with her cavalier friend,took 2 days to house train as she took the lead from the cavalier copied her,shes so bright and so willing to please,on walks she tends to mind her own buisness will go up to strangers but realy doesnt want them to touch her prefering to be allways alongside us.I would recomend this mix everytime. We absolutely love our Gold Shorkie, she’s the cutest thing ever. She’s around 12 pounds so that seems higher than average but she’s not overweight per our vet. We got her at 6 months old when her previous owner could not keep her. Initial training had some challenges but she’s completely house trained with no issues. We have a male cat and male Boxer and she has fit in perfectly. She loves playing with the cat and is a real trooper on our daily walks. Her little legs have so much energy! She loves to sit on our laps and sleeps with us every night. She needs plenty of toys and loves to chew them regularly. She also loves all the children in our neighborhood and loves to see them. All I can say is this dog has been a bundle of joy ever since we got her. My Shorkie licks to the point of being annoying! Any suggestions? I have a 5 month old shorkie, stubborn little guy when it comes to training and housebreaking. Any advice on a first time owner? Yes they can be unbelievably stubborn. My advice would be to consistently use positive reinforcement techniques and use them in short, but, frequent training sessions. Use lots of play and reward to help build a strong bond too. I’ll leave this comment here incase any owners or breeders want to add some breed specific advice. Just got our 3 month old shorkie, Kodi last week. I cant remember the last time my husband, daughter and I laughed so much as this little guy runs and follows us everywhere. Live in NE PA and it’s been too frigid and icy to take him out yet, but he has been pretty successful at going on wee wee pads. Despite many chew toys, he still managed to ruin an area rug by biting and chewing off the binding edge and releasing particles all over. Any suggestions to deal with teething issues. We bought a little bed, but took it away as he was scratching and biting it so much, we were afraid he would RIP it and eat the stuffing. This is perfectly normal behaviour, you should read our positive re-inforcement training guide for How to Stop a Puppy from Biting. We are interested in adding a Shorkie to our family. any advice on finding a reputable breeder? I’m working towards a full service dog for a PTSD patient. I’ve had therapy dogs before, but this little companion, has done wonders already. I do think this breed would be great for elderly, or isolated people, as they are low maintenance and loyal companions. I am having problems finding a dog food my shorkie will eat. Any suggestions? She is 8moths old and we have had her spayed. Hi Terry, some other Shorkie owners in the comments have recommended blue buffalo. I just returned home from a vacation. While there, a fell in love with another vacationers shorkie. Adorable! and Sweet! I’d love advice on where to find one. My previous dog was a sweet shitzu poodle mix.